I know. I know. You may never come to Tamale and so you will never need to know how to dress for church there. So classify this as entertainment. I am sitting in church in the city of Tamale (pronounced TAH-mah-lay). There are three worship team singers, all women. The lead singer has on a western-style black and white dress. The other two women are wearing outfits of brightly colored African cloth. The floor-length outfit of the woman on the right is by far the more common variation, while the shorter version is taking style elements from Western office wear. 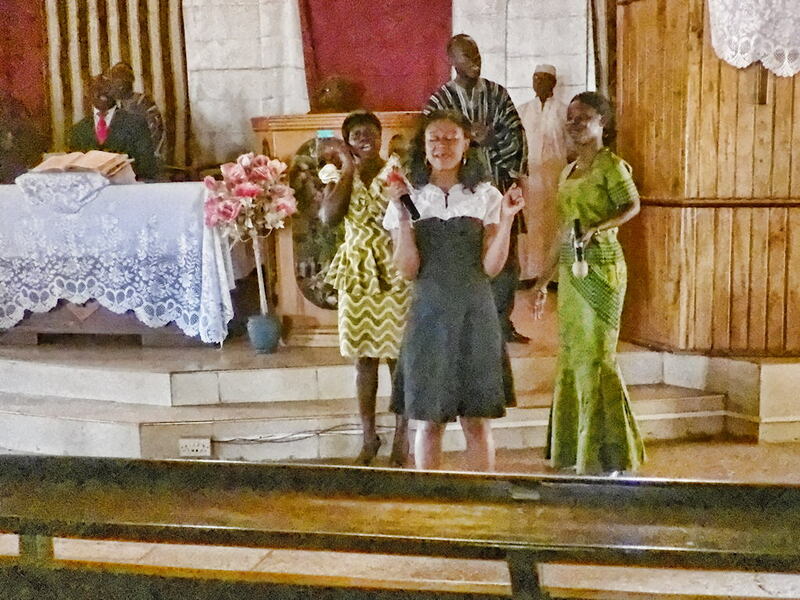 So, ladies, if you come from the USA to visit me in Ghana, you can dress in your standard church dress. Or you can have a Ghanaian outfit made. Sorry, no slacks. The dress of the men on the platform is more varied. First, we have the man on the left with a back suit, white shirt and red tie. He is the preacher for the day. 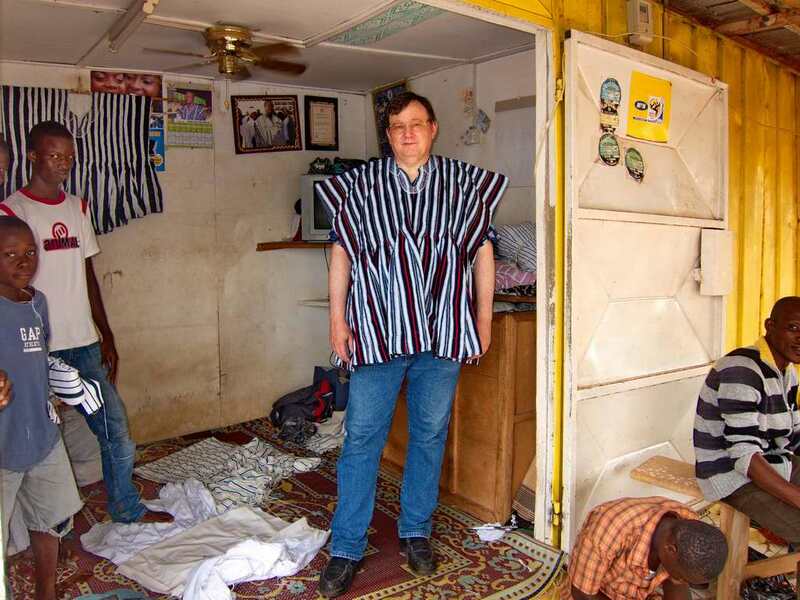 The man immediately behind the women is wearing traditional clothing for northern Ghana. It is called a “smock”. It is made from hand-woven and hand-dyed cloth. It is traditional, but most definitely not low-class. It can be worn to any dress-up occasion. I really like the way Ghanaians value their culture. Lastly, we have the man in the white kaftan and hat. In some areas this kind of man’s outfit is associated with Islam, but in lots of places it is standard fare for everyone, and Christians wear it too. In addition to white, it can be made of the same colorful cotton the women wear, as you see in the photo on the right. So, if you guys come visit me, you can bring your suit and tie. However, I will wear nice slacks and a nice shirt, a combination quite common in the congregation, along with suits (rare), smocks (about 20%), some kind of kaftan (about 40%). The nice shirt can be a dress shirt, or it can be made of the colorful cloth the women wear, perhaps with some nice embroidery or cuff links. Come to Ghana and experience the blending of traditions. If you liked this, you might also like Cloth and Meaning, Yugu-yugu, or Heart Language. 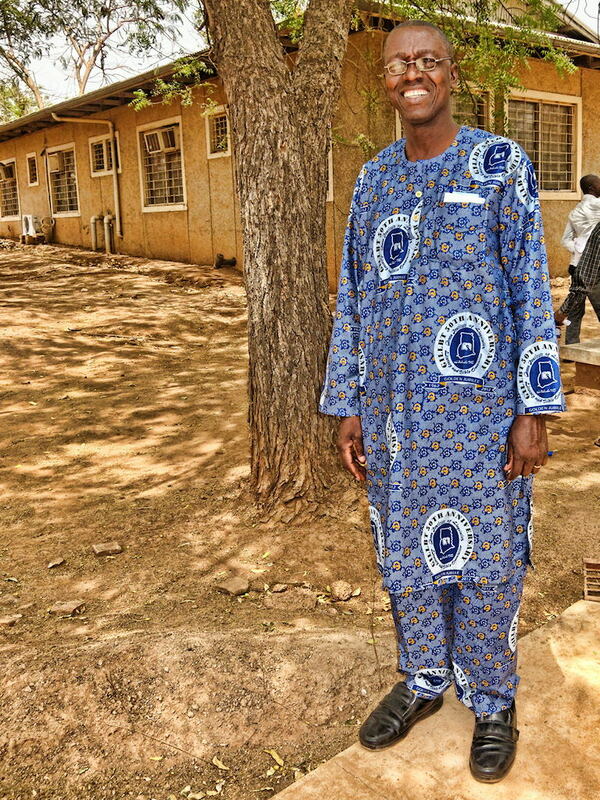 This entry was posted in Christianity, Ghana and tagged church, church attire, church clothes, church outfit, Tamale. Bookmark the permalink.